In a new series of 1-hour webinars, we will educate you in the different approaches to achieving GDPR compliance in SAP – including ILM. In cooperation with SAP and Implema, we will present the different approaches to GDPR compliance in SAP and which actions to take. We will also cover the associated costs of tools and resources. (Most customers choose elements from each approach depending on the risks for the different systems). Data Anonymization – Data copy from production systems to test, sandbox etc. If you would like to take part in our GDPR in SAP webinar, please fill in your details in the Event Registration Form below and you will automatically be registered. By signing up for the webinar, you give your consent that 2BM may contact you with relevant information and marketing. 2BM GDPR Team has focused on GDPR since 2014. The mission is to be the leading GDPR in SAP consultancy in Denmark and Sweden. 2BM cooperates with SAP and PwC on GDPR. 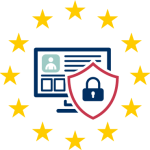 2BM has helped over 20 customers with GDPR in SAP ranging from small/medium to large enterprises. We strive to help customers choose and implement the right solutions based on cost vs. risk.